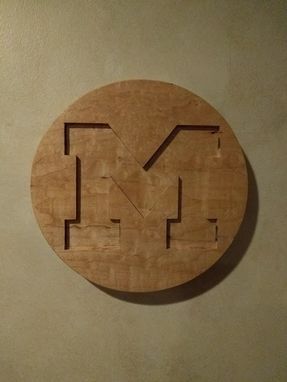 Block M Maple Wall Art. Custom made for any college or family. Spalted Birdseye maple. Handmade not laser cut, labor intensive.